Sofia Mayor Boyko Borisov dismissed Friday the main architect of Studentska municipality over failing to control the construction of the disco club Amnesia, near which the pharmacy student Stoyan Baltov was beaten to death two weeks ago. The mayor's decision, concerning Teodor Kolarski, came after a check proved the discotheque was registered as a booth and built on a municipal land. 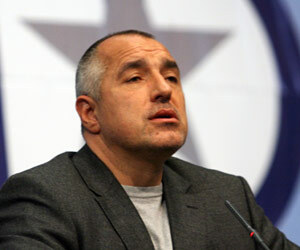 "The authorities and the Prosecutors' Office are to conduct further check on the spot and probably it will lead to the club's demolition," Mayor Borissov explained. "First of all, we will expect Amnesia's owner to present all the papers that could prove the disco's activities are legal," he added. Sofia's quarter Studentski Grad ("Student's Town") is comprised mostly of student dormitories, where about 50 000 university students from various higher education institutions in Sofia live during the academic year.